When you’re trying to figure out which one of the Nissan dealerships in the New Orleans, LA area has the best selection of pre-owned models for you to choose from, you’ll quickly realize the answer is right on front of you. Visit the team at Ray Brandt Nissan and start driving one of the many pre-owned models that offer you the easy drive, the affordable price, and the quality you’re looking for. The value you’ll find makes perfect sense for you so that you can have the drive that you enjoy on the roads every day. 2016 Nissan Juke SV – Get behind the wheel of this small and active hatchback that has the style that will garner attention. You’re going to admire the low price of this vehicle and enjoy the smooth ride from behind the wheel. Look behind you and see the generous level of cargo room offered to make this the right choice for you. 2016 Nissan NV200 SV – Do you need a work van that can fit nearly anywhere? If so, you need to see this van today. Is offered at the best of the Nissan dealerships in the New Orleans, LA area to be one of the best deals you’ll find. Come in and see the Ray Brandt team and take this van out for a test drive today. 2015 Nissan Rogue SV – The Rogue is one of the most popular SUVs on the market and this pre-owned model has low miles and an affordable price to be the right choice for you. Take a look at the features offered that will ensure you can have a fantastic drive and make this the perfect SUV for you to enjoy the drive you’ll experience. 2014 Nissan Pathfinder SV – The name recognition alone makes you want to drive this beauty and when you get behind the wheel, you’ll know that this is the right SUV for you. You don’t need to see other Nissan dealerships to find what you want, you’re going to love driving this Pathfinder in New Orleans, LA after you see the Ray Brandt team today. 2016 Nissan Maxima 3.5 S – It’s hard to argue with the quality and the experience you’ll find when you step inside this Nissan Maxima. This car has the power, the prestige, and the performance you want in a sports car, but in a great sedan for your family to enjoy. Make this the right model for your driving pleasure today. 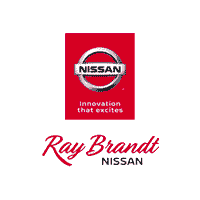 The team at Ray Brandt Nissan has become the best of the dealerships in the New Orleans, LA area by offering the deals you want and the vehicle that makes sense for you. Stop by and take a look at the pre-owned inventory today and start driving the Nissan that makes your drive better than it’s been in the past.